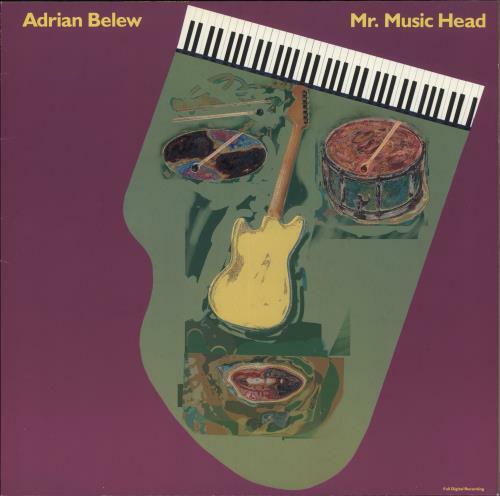 ADRIAN BELEW Mr. Music Head (1989 German 11-track vinyl LP, his fourth solo album, picture sleeve. 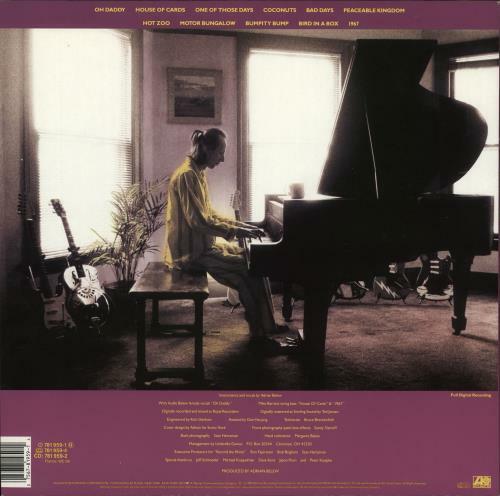 The sleeve shows minimal wear and the vinyl appears barely played). Related Artists: 21st Century Schizoid Band, Boz Burrell, CJ3: Crimson Jazz Trio, David Cross, Eddie Jobson, Freeway, Giles, Giles & Fripp, Gordon Haskell, Ian McDonald, Ian Wallace (Crim), Jack-Knife, John Wetton, King Crimson, McDonald & Giles, Michael Giles, Mogul Thrash, Pete Sinfield, Qango, Robert Fripp, Robert Fripp & Brian Eno, Ten Seconds, The California Guitar Trio, Toyah & Fripp, Trey Gunn, U.K.
or visit our Adrian Belew image gallery.